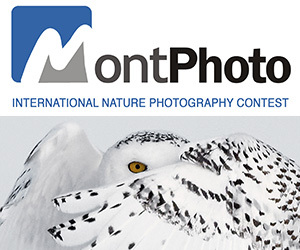 A juried group photo show on landscape photography. Black Box Gallery is excited to announce a landscape photography juried group photo show. Landscape photography is the depiction of natural scenery, such as mountains, valleys, trees, rivers and forests. Dynamic and impressive compositions of sky, weather, light, land, textures, tones, patterns and atmospheres. This show will examine contemporary landscape photography and the wild power, beauty and the evolving mystery of the natural world. Ashlyn Davis is the Executive Director of Houston Center for Photography, a nonprofit offering year-round exhibitions, workshops, publications, community education programs, lectures, and classes. In her role at HCP, she is focused on balancing work by regional and internationally acclaimed emerging, mid-career, and established artists. Ashlyn is also the editor of spot, a bi-annual magazine about photography that includes artist portfolios, exhibition and book reviews, and interviews. In addition to her work at HCP, she is also a published writer and recently co-edited a book of 19th-century photographs, Islands of the Blest, now in its second edition. She earned her BA in Art History from Pratt Institute and her MA in American Studies with a focus on the history of photography from the University of Texas at Austin. Ashlyn is interested in a broad range of photography, but is particularly passionate about work that intervenes in cultural or historical narratives in thoughtful ways. PRIZE DETAILS: Each exhibition will have 24 photographs selected by the juror for exhibiton at the gallery. An additional 30 photographs will be selected by the juror for exhibition in our on-line gallery annex. All 54 photographs from the show will be included in a catalog available for purchase on Blurb Books. Not eligible to enter? - Find contest where you are.